Eight community-led projects focused on crime prevention are receiving $121,768 in funding from the Crime Prevention and Victim Services Trust. Many of the projects aim to reach youth and provide opportunities for them to form relationships and build life skills. They open up possibilities for youth to create healthy lifestyles through sport, music and cultural camps and programming. “We’re thrilled to provide support to projects that are empowering Yukoners and providing meaningful programming opportunities this summer and beyond,” Lareina Twardochleb, who chairs the Crime Prevention and Victim Services Trust board of trustees, said July 30. Yukon Tourism Education Council – $34,000 (the largest grant) for a youth program summer camp. The council is hosting 10 weeks of day camps for youth at the Multicultural Centre. The camps will focus on English as a second language, reading and math through activities including arts and crafts, book club, math club, sports, themed events, walking tours, games, field trips and guest speakers from other youth organizations. Big Brothers Big Sisters of Yukon – $12,000 for a community mentoring project. The organization is building and augmenting its mentoring program in Dawson City and Whitehorse. It’s doing so through volunteer recruitment, safety training and case management and mentorship monitoring. The goal is to build program capacity to provide a mentor for each child who would like one in the Yukon. The mentoring program matches an adult with a child to create a fun and safe friendship so that the child feels valued and has a friend to talk to. The program participants go on outings, meet at the child’s home or partake in activities offered through school. Blood Ties Four Directions Centre Society – $15,936 for Landlords Working to End Homelessness after-hours support. The landlords program provides vulnerable and “hard-to-house” clients with housing and ongoing support services in order to help them become successful tenants. A sponsor organization leases a rental unit on behalf of a client and assumes responsibility for ensuring the client is good tenant. A pilot project is currently working to collaboratively partner with agencies to expand the program with on-call, after-hours and weekend client supports. The hope is that more landlords will be willing to enter into tenancy agreements if there are more supports in place to help tenants in crisis on evenings and weekends. The society started the landlords program in 2013. It has been adopted by the Victoria Faulkner Women’s Centre, Fetal Alcohol Syndrome Society Yukon and Yukon Anti-Poverty Coalition. Yukon Youth Outdoor Leadership Association – $15,337 for the Community After-School Sports Program. The program will offer free mid-week cultural programming at the Canada Games Centre (CGC) including Arctic sports, hockey, lacrosse and hand games. Participants will be provided a meal following each of the 28 sessions. The program is a partnership among the CGC, the Boys and Girls Club of Yukon, Dornonn Fox, Kwanlin Dün First Nation, Skookum Jim Friendship Centre and Yukon Aboriginal Sports Circle. Dawson Shelter Society – $7,535.30 for Wen-do women’s self-defence sessions and workshops. The society, in collaboration with the Tr’ondëk Hwëch’in First Nation, is bringing Wen-Do women’s self-defence to Dawson City to conduct self-defence sessions and workshops about violence and crime prevention, as well as responsive care. There will be sessions for both youth and adults. Little Salmon Carmacks First Nation – $2,660 for Historical Youth Hunting Practices: Connecting with ourselves, archery. This project will empower and reconnect youth and adults with First Nation traditional hunting practices and encourage cultural revitalization through eight archery classes. The project will teach First Nation cultural values of caring, sharing, respect and self-control. Dawson City Music Festival Society – $22,800 for Yukon Girls Rock Camp. The society hosted the fourth annual camp in Dawson and has expanded the camp to Whitehorse. The camps include music education and workshops. Topics include media literacy; band dynamics; women trailblazers in music and society; issues for northern girls; fashion and style in gender and sexual orientation; traditional singing and culture; mentorship; and being allies for others in the community. The camps end with a public performance of a song written by the girls at the camp. In Dawson, this took place at last month’s Dawson City Music Festival. Village of Teslin – $11,500 for 2018 summer programming. The village is providing weekday camps and afternoon and evening programming for children and youth from June 15 to Aug. 31 in Teslin and surrounding areas. Three-week-long day camps include Elephant Thoughts science camp, the Breakdance Yukon Society dance camp and Monkey Business gymnastics camp. The project goals are to reduce the incidence of crime by offering children and youth in Teslin a safe place to go during the summer months to be active, mentally engaged and learn new skills. The Crime Prevention and Victim Services Trust provides funding twice a year to projects that are intended to reduce crime, prevent gender-based violence and violence against women and children. Also eligible are projects that address the root causes of crime, provide services and information to victims of crime or provide information about crime prevention and victimization. Funding applications are accepted from municipal and First Nation governments, non-profit organizations and school councils or boards. Eligible costs can include wages or honouraria, promotional materials and printing, as well as materials or rental costs. The fund has supported Yukon community groups since 1998. Proposals are reviewed by the board of trustees, which includes community members and representatives from the Yukon government, First Nations, women’s organizations and the RCMP. The next application deadline is 11:59 p.m. on Aug. 15. 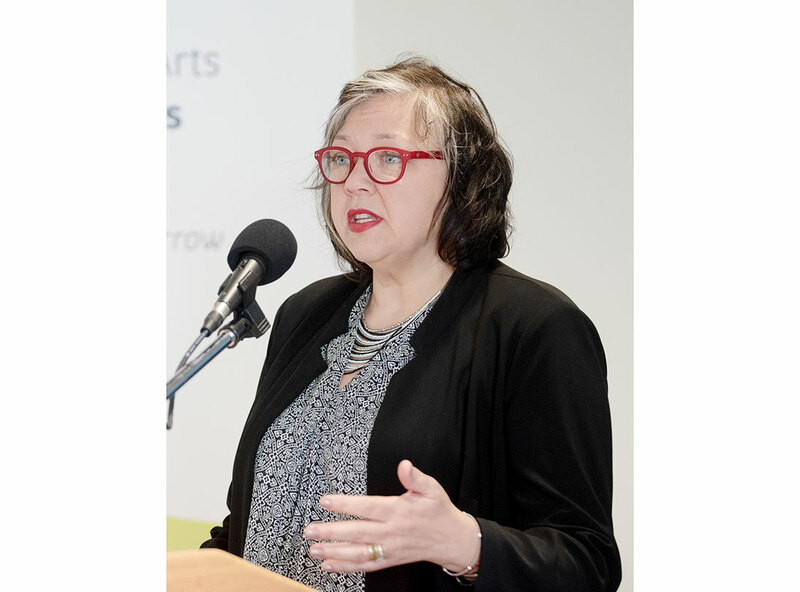 “Providing youth with meaningful opportunities to build skills, be active and connect with their community is a great way to divert them from criminal activities,” said Justice Minister Tracy-Anne McPhee. Winston Smith: Know that social workers are supposed to follow a code of ethics which you can look up at CASW. YG does not require social workers to be registered but you may wish to check if yours is and make a complaint to wherever they are registered. I would suggest making a complaint to someone above your worker but I doubt anything would happen considering. Social work degrees vary a great deal in quality so your worker may have a short and not very good education but one hopes that critical thinking, integrity and advocacy still remain high in personal values of social workers. "The Only Thing Necessary for the Triumph of Evil is that Good Men Do Nothing". Also Minister Frost and down need to read Leanne Betasamoske Simpson book: AS WE HAVE ALWAYS DONE and a get a grip on what social work should look like these days. We can talk all we want about how sorry we are about the past but it means nothing if we do not critically appraise our actions today. We know better so we should do better. Embody change. @ Winston Smith - There is little anyone will do. Within political systems there is no fairness and there can be no justice. There can be no intelligence and no hope for responsible action as there is a tendency towards aggressive narcissism in politics. There is so much of the worst kind of nepotism, orgiastic cronyism, in YTG and among the YT elite. The best advice, as sadly unfortunate as it is, learn to dance, dance, dance. In my experience from BC, AB and ON, liberal governments tend to be quite fascistic and supportive of internal conflict, doublespeak, codes of silence, and abuse. You will be invited to speak, you will be told it is safe, Mostyn will extend the olive branch... However, as you are likely aware it did not work out so well for Winston to trust. The problem with political systems is they very much turn out to be like Orwell’s 1984 and subject to all manner of isms; particularly totalitarianism. As political systems are predicated on manipulation tactics such as misinformation and misdirection are important strategies to discover ideological adversaries and turn them or terminate them. Prime hunting grounds for sociopaths can be found in government systems. A large part of the problem is the cronyism in YTG - the friends and the cliques who circle together in these systems for their own ends rather than the public interest - these are the figurative pigs at the trough. This is why any colonialism may be manifest - power and control - those in the clique wield it. I am sorry to say that there is nothing you can do. They will hunt you down, isolate you, dig for any little dirt on you, spin a tale, suspend you, fire you and make you feel crazy because that is what sociopaths do in the hunting grounds. So, Mostyn may believe what he said when he encouraged people to come forward and speak up but you should understand that in politics truth is relative - It does not have to be true, you only have to believe it to be true; Santa, Tooth Fairy, Easter Bunny, speak out it's safe, you can trust me - wink, wink! Yukon Government lost excellent leadership when Jane Bates and Jarrett Parker were let go. No one else is willing to risk anything to create change. Doug Ryder thanks for speaking what I feel! My friend has a social worker at KDFN who supports racist child welfare and is perpetrating the colonial system. What can we do to impact change? We need something. @ Hasaan J - YTG will do nothing. The government depends on your fear to maintain its operating chaos. Get back to work! belong to ADM Doyle and Director MacDonald and their like! The union has renamed the Collective Agreement the Collective Deceivement - They no longer care to hold out the illusion of workers rights - Pay your dues or you get the screws! The Disrespectful Workplace Office has been created to further suppress workers rights as a third tier management structure - perhaps 4th if you include the impotent YEU oligarchy. Anyway - There are no victims in YTG - Only prey. Teslin, Dawson and Carmacks all got funding. It looks like four out of the eight recipients went to communities. What is the YG doing for victims of its ADM Doyle and Director Macdonald who are allowing kids to be hurt and abusing staff? Hi Emma, this fund is application based. First Nation governments, municipalities, schools and school councils, and non-profits must apply and meet certain eligibility criteria. The fund supports a wide range of community-led project aimed at preventing crime and supporting victims. You can learn more about the fund at www.crimepreventionfundyukon.ca. If you have any ideas for projects and want to learn more about how to apply, please email crime.prevention@gov.yk.ca or call 1-800-661-0408, ex: 8746. There’s still time to submit an application. The next funding application deadline is August 15, 2018! @emma - Did you apply?? It seems like the small communities get left out always. In past 2 years the SFN members have faced serious crises in community. How do you select who gets funding, who sits on this board? I feel it is time to get the small communities involved. We are always left out! !